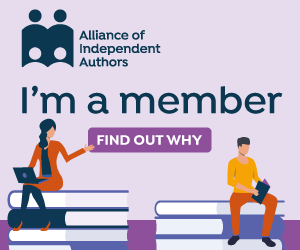 Terry Tyler is an accomplished self-published British novelist who through hard work, application, good humour and a love of Twitter has built a solid fan base for her recognisable author brand and regular flow of new books. I’ve read and enjoyed a couple of her earlier novels, each of them very different, well-told stories full of twists and turns, and populated by realistic characters just right for contemporary fiction. 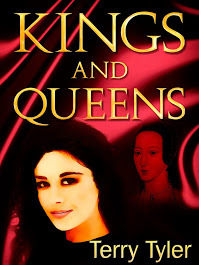 I was therefore surprised and intrigued to learn that her newest release, Kings and Queens, is a retelling of the history of the six wives of Henry VIII, transposed into the late 20th and early 21st century. Would she be able to pull off such an ambitious plan? I’m pleased to say that the answer is yes. She makes enough changes to make it read as a plausible modern novel, while also adhering to the basic outline of history. Harry is a property magnate rather than a monarch, fate appointing him at a young age to take over his father’s construction empire. We follow his progress from his ascent to this unroyal throne through his courtship of six women and their various departures. Although by definition we know the outcome from the start, at least in terms of each wife having a limited reign, Terry Tyler adds sufficient new layers of interest to the story to keep the reader turning the pages. Most of my knowledge of the history comes, I confess, from the BBC’s televisation. “The Six Wives of Henry VIII” with Keith Michel playing Henry, aging cleverly from a handsome prince to repulsive and pathetic old man. Whereas I could see his attraction in that series, I was not at all attracted to Harry in Tyler’s book, and in all but one case I was not at all sorry for him when his marriages went pear-shaped. I did however very much enjoy getting to know the many other characters in the book. There’s a huge cast, but the story is shaped so that it’s easy to keep track of who’s who. I found the story of the Anne of Cleves equivalent particularly poignant, and for me she was the one who emerged as the most laudable of all the characters evoked. With the story kicking off in the 1970s, the author uses iconic popular culture references to guide us through the changing times. I’ve lived through those times too, so I enjoyed spotting the references which added further colour and fun to the story. Telling such a complex story is a challenging, and Tyler chose an ambitious structure. The narrator changes every few chapters, sometimes a “wife”, sometimes another player, but never Harry himself. These changes were clearly signposted so it never became confusing or irritating, as such head-hopping can be sometimes. Ringing the changes this way made the story more powerful and interesting than a single narrator or omniscient narrator, and it added a feeling of twistiness to an otherwise linear plot. I wondered how the story might have changed with other narrators given a turn, e.g. Harry and his children. There are endless possibilities! One might wonder how hard it would be to keep those pages turning when we all know the outcome of the story before we’ve finished the first page. It’s a credit to Tyler’s skill as a writer and to her imaginative translation of the history that this turns out to be a compelling story. The well-rounded characters and a generous scattering of in-jokes with names and places add colour and a welcome touch of humour to an essentially grim tale. I was fascinated to see how she’d despatch each wife. Appropriate modern equivalents have been employed, one of them a masterpiece of poetic justice. All in all, Kings and Queens is a fun and compelling read, whether or not you’re a history buff. I’m sure this book will satisfy Terry Tyler’s extensive fan base and win her new admirers too. Great review Debbie. I’m reading and thoroughly enjoying this book at the moment! Excellent idea and very well thought out – so far! Can’t wait to find out how she deals with the beheadings!